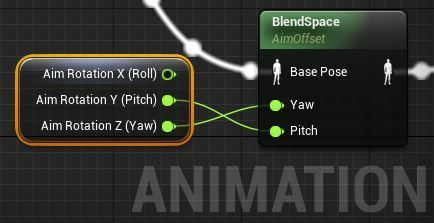 Animation Blueprints are very flexible ways of building animation systems. However the performance overheads associated with running Blueprint-based logic can become quite high as your graph becomes more complex. To mitigate these overheads certain methods of structuring your animation graph can be used. Note that some "Break Struct" nodes, like "Break Transform" will not currently use the fast path as they perform conversions internally rather than simply copying data. Once an Animation Blueprint has been configured in an optimal way, subsequent iterations can potentially introduce new, non-performant constructs. To keep track of this you can enable the "Warn About Blueprint Usage" option in the Animation Blueprint's Class Defaults. This is also useful when optimizing a particular Animation Blueprint.